Today was the 30th Family Reunion and Thanksgiving Service for Rev. 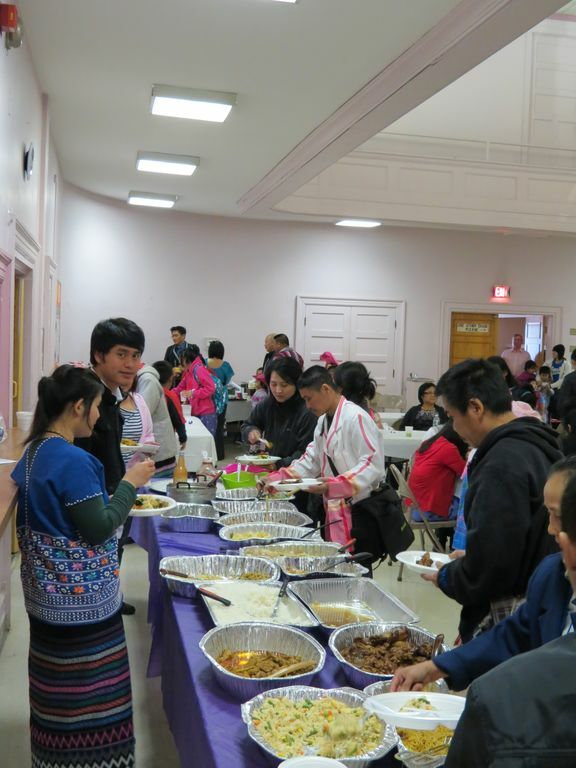 PU Nay Win at the Tabernacle Baptist Church on Hopper Street in Utica. The Church under Rev. Mark Caruana has strong ties with the refugees of the Karen community from Myanmar, formerly known as Burma. 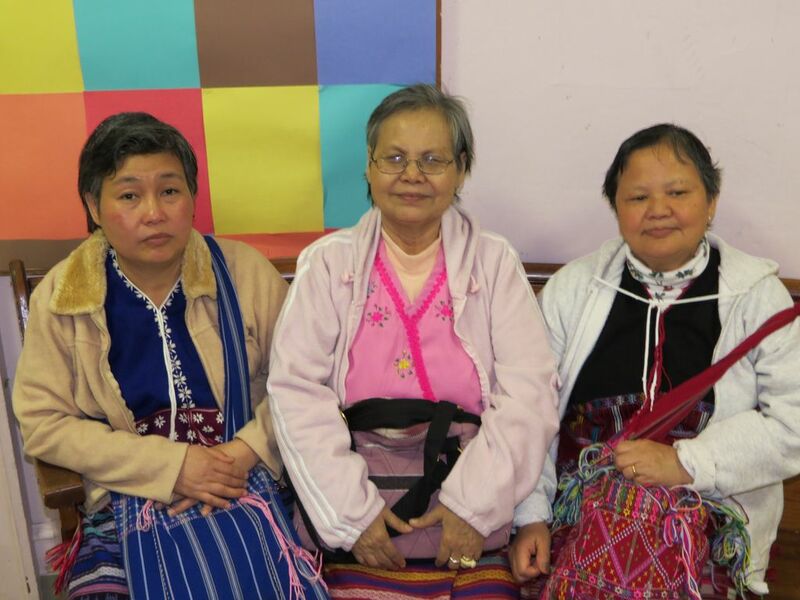 Over 1,000 Karen community members belong to the Church. We arrived at 10am, unsure what exactly would be happening. The Church was filled with families and members of the Karen community from small children to the elderly. The service was in Karen, so nothing was understood. However there were some really great moments of song – young kids and a mixed choir with a backing band. The participation level in the Church seems high. After the service ended, many community members greeted us hello. Although we didn’t know it was him at the time, Rev. Win thanked us for coming and invited us to the party. We made our way to the event room at the back of the Church where food was laid out. 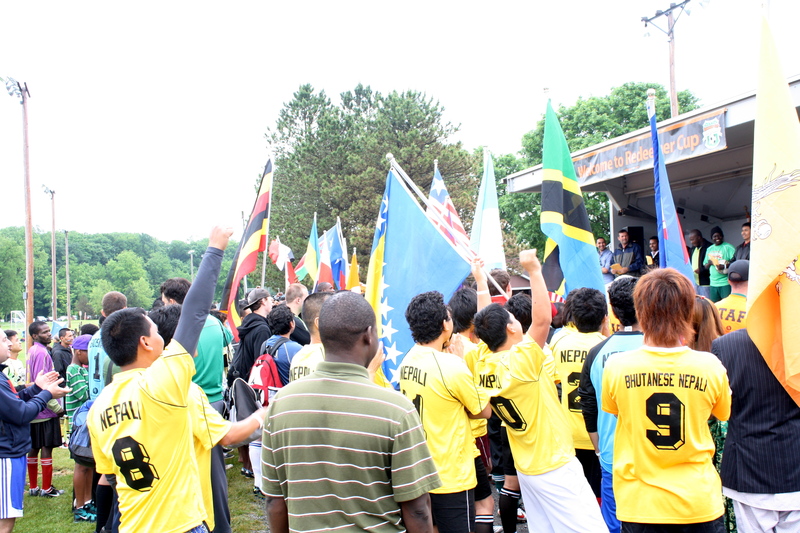 We learned later than the family and friends shared in the task of providing food for the party.We met members of the refugee community, including from the Mohawk Valley Resource Center for Refugees and the Redeemer Church, who came to celebrate. We met a local woman, Mint, who we shared a table with. She explained the party was a gathering of family and friends from Rev. Win’s family who gathered together in celebration and thanks. Mint shared with us stories of her family, background and life in America. It was a nice event and good to hear stories from the Karen Community about Starting Over in Utica!